Henry Holbrook was born at Northwich, Cheshire, England, on July 11th, 1820. After receiving an education at Witton Grammar School he commenced his business career as a merchant at Liverpool. He went to the Crimea in 1854 on contracting business, and was present at the seige and fall of Sebastopol. Afterwards he lived for some years at Odessa. Upon arriving at New Westminster about 1860 he set up in business as general merchant and displayed a very active interest in public affairs. He was elected the second Mayor of the City and was re-elected on four subsequent occasions. On the occasion of the union of the colonies of British Columbia and Vancouver's Island Mr. Holbrook was elected to the first Legislative Council. He laboured strenuously for the admission of the Colony into the Canadian Confederation, and when that event was finally consummated in 1871 he was appointed to the Executive Council as Chief Commissioner of Lands and Works, which office he continued to fill up to the resignation of the administration in November 1872. Thereafter he was leader of the Opposition until his defeat at the polls in 1875. Mr. Holbrook returned to his home in England about 1880, and in 1885 he fell heir to the family estate which he administered up to the time of his death in May, 1902. In Freemasonry, too, he was an active worker, and before he came to British Columbia he had been Master of two English Lodges, No. 368 and No. 880. He had attained the rank of Prov. Gr. Supt. of Works for Cheshire, and was also active in the other branches of Masonry. A meeting to organize a Lodge was held in the City of New Westminster in the winter of 1860 at which Wor. Bro. Holbrook presided. It was agreed to ask for a warrant of constitution from the Grand Master of England, and because the petitioners came from different jurisdictions, it was decided to call it the Union Lodge. Bro. Holbrook was nominated as the Wor. Master; Bro. Sedall as Sen. Warden and Bro. Peacock as Jun. Warden. The petition was sent to England, but the warrant was refused, because according to the English Constitution the first office bearers must be registered in the books of the Grand Lodge of England, and Bro. Peacock was a Scottish Freemason. Subsequently some of the members of the then newly formed Lodge, Victoria, No. 1085, signed the petition and a new Jun. Warden was chosen, with the result that a warrant was granted bearing the date of 16th Dec., 1861, for the constitution of Union Lodge, No. 1201, Eng. Reg., later renumbered 899. Unfortunately the early records of Union Lodge were lost in the fire of 1896 and the details of its organization and proceedings are not available. When the District Grand Lodge of England was organized in British Columbia with R.W. Bro. Robert Burnaby as District Grand Master, Wor. Bro. Holbrook was appointed Deputy District Grand Master, which office he retained until the formation of the Grand, Lodge of British Columbia in 1871. Union Lodge, however, did not participate in the formation of this Grand Lodge, and did not come in until December, 1872. The first special emergent meeting of the new Grand Lodge was held in the City of New Westminster in July, 1872, the occasion being the laying of the corner stone of the Mortuary Chapel of the Masonic Cemetery at Sapperton, which was laid "in due and ancient form" by M.W. Bro. I. W. Powell, Grand Master. A peculiar circumstance in connection with this function was the inclusion in the "Order of Procession" of "Two Tylers," "A Band" and "The Noble Grand Officers and 'Members of Oddfellows' Lodge No. 3, New Westminster, and visiting Brethren." No doubt the fraternal feeling displayed by the new Grand Lodge in laying the corner stone, coupled with the persuasive eloquence of M.W. Bro. Powell and R.W. Bro. Burnaby had much to do with the decision made by Union Lodge a few weeks later to come into the fold. 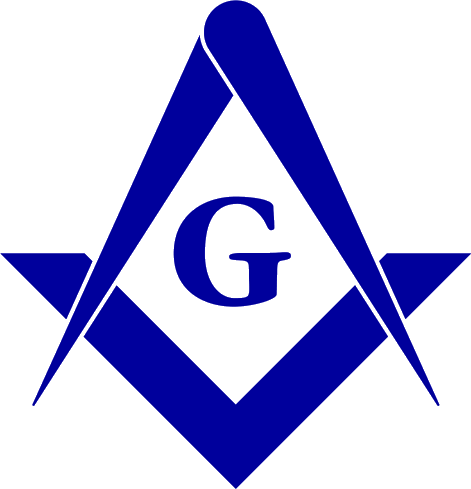 The delay, however, lost Union Lodge its rightful place on the roll of Grand Lodge, and instead of being No. 2, it had to be content with No. 9. Wor. Bro. Holbrook, outstanding in his loyalty to the Grand Lodge of England, was strongly opposed to the formation of an independent Grand Lodge in B.C., and no doubt his influence, and in the light of subsequent events, his mistaken zeal, was a contributing factor in the stand, taken by Union Lodge when the Grand Lodge of British Columbia was instituted. He seemed to have been deeply affected by the subsequent decision of the Lodge to come in, as he took no further active interest in the Craft, or the new Grand Lodge, up to the time of his departure from New Westminster about 1880. As the mighty Fraser rolls down to the sea so the Masonic years have rolled by, and in the light of the forthcoming 75th Anniversary Celebration we salute one of the early builders who laid the foundations of Masonry in the Queen City - Henry Holbrook, Masonic Pioneer. Masonic Bulletin. March 1946 p. 1.